There’s no loafing around for Chef Dan Dae-chun Kim. Kim was already a rising star, blazing into the world of contemporary Korean cuisine with TocToc. 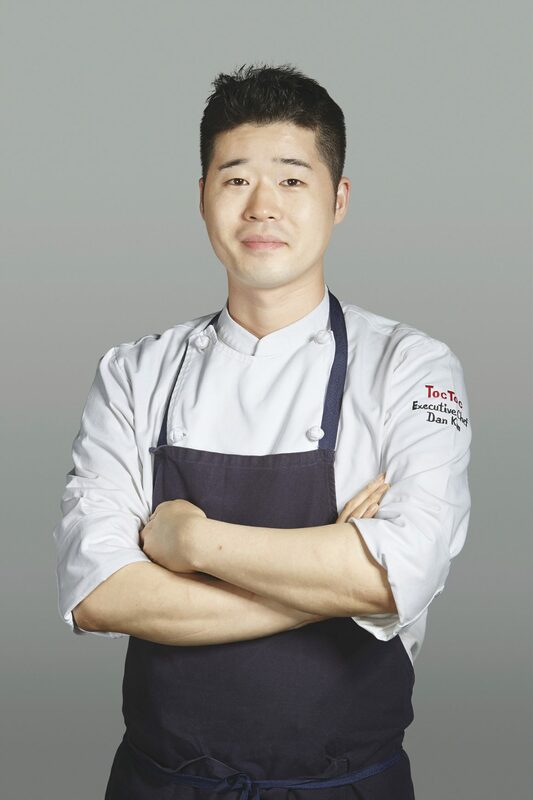 His casual, modern dishes incorporate classic French and Japanese techniques alongside Italian and Chinese influences and Korean ingredients, and has already won accolades that include the Miele One to Watch award, inclusion in the Seoul Michelin Guide, and Chef of the Year from the Blue Ribbon Guide. 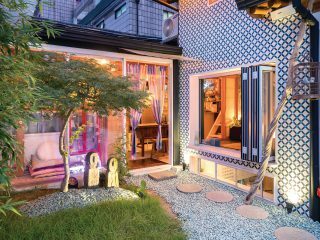 It would be easy to rest on his pretty impressive laurels, or continue to pour all his energies into TocToc, but instead, Chef Kim has launched a surprising side project in a small, lovely new bakery: Sikbugwan. “I don’t think there should be boundaries in cooking,” Kim declares. His cooking and background clearly reflect this belief, attending cooking school in Tokyo, followed by working as restaurants that specialized in everything from Japanese-French fusion to dessert to Italian cuisine. When he opened TocToc in 2013, his diverse cooking background and “no borders” approach resulted in a fresh take that marries refined techniques from all over the world with local dishes and ingredients. The disregard for boundaries and interest for deepening his understanding lead him to concentrate on one of the most basic foods of all in his new venture. Sikbugwan makes Kim’s attention to method and ingredient abundantly clear by focusing exclusively on sikbang, a loaf bread with a light, soft crumb and thin, soft crust. Currently, they only have three kinds of loaf available: plain, natural, and rich. The plain is the quintessential sandwich loaf, taken to the next level, with a creamy white interior and a mild chewiness. People who like something a little more indulgent can try the rich loaf, which has a warm golden interior redolent of eggs and butter. The natural loaf relies on simple, good ingredients and a long fermentation to create a more open crumb that still feels sumptuous. While they plan to add more kinds of bread to the menu in the future, it says something special that the few varieties they currently sell have been so carefully sourced and thought about, resulting in superior loaves. Kim is clear about the differences between Sikbugwan and other bakeries: “There’s a lot of popular bakeries in Seoul, and in Korea it’s popular to have things filled with chocolate cream or the like inside. But I wanted to do something special and focus on a bread that is really for meals.” Even the name of the restaurant draws from this idea, using the Chinese characters for meal (sik / 食), bread (bu / 餢), and house (gwan / 館). Beyond bread, they also sell a very limited number of bottled drinks and elegant jams imported from France, but clearly the golden loaves are the star of the show. On their instagram profile (https://www.instagram.com/sikbugwan/) eager carb-lovers eat up pictures of their gorgeous loaves. Plain, toasted, slathered in jam and butter, turned into french toast, or helping to hold the culinary world together in a sandwich, Sikbugwan elevates the ordinary loaf into an extraordinary meal of its own.